This sounds wonderful! 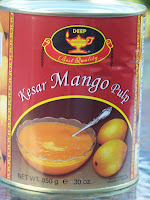 Is mango pulp like mango puree? That looks so amazing!! Nicely done! I love it! They look so creamy and the color is absolutely gorgeous! Well done, my friend! PRETTY! and looks yummy too! Are you going to foodbuzz festival this year? I love that this only has four ingredients--nice and easy, with gorgeous color. I love that you don't need an ice cream maker for this recipe. I always forget to freeze mine. Your scoops look nice and creamy to me. Homemade ice cream, awesome! Great photo! I love this ice cream. It just looks so pretty. 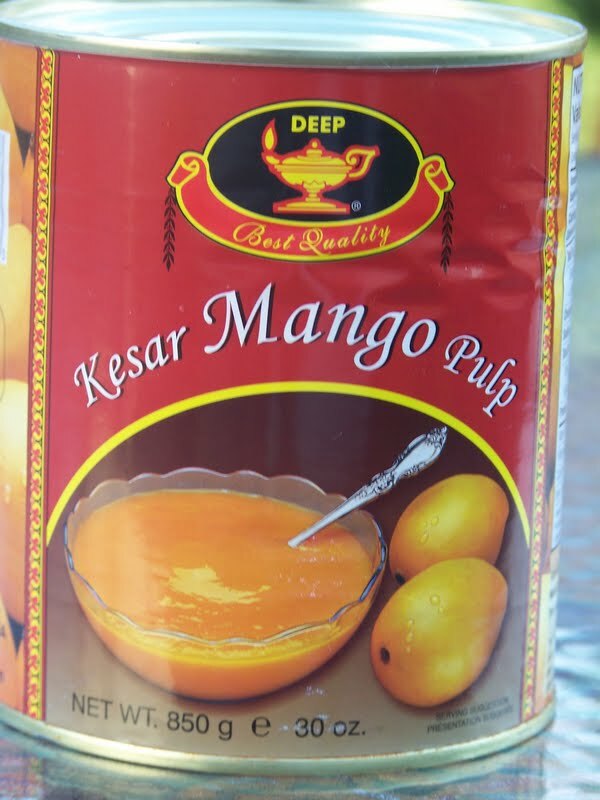 Mango pulp!? I've never seen such a thing, but oh the possibilities! Off to go google and see if someone near me carries it! I love love Mango ice cream. It was one of my favorites growing up. Yours is making me reminisce my childhood and not to mention making my mouth water. How super cool, fast and easy is this!! I need this in my life now. This looks so good, Ramona! 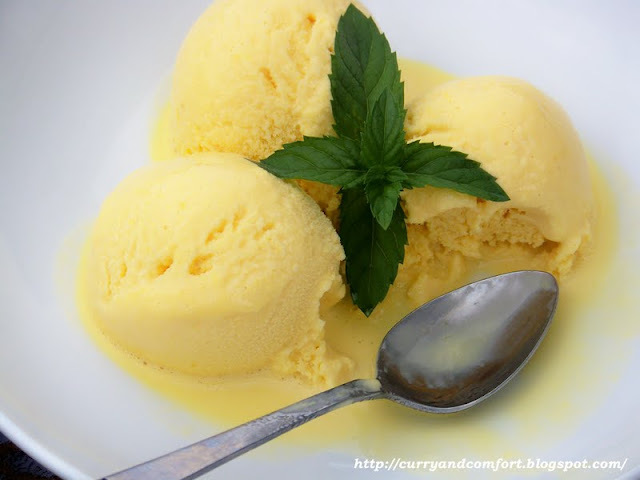 I love mango and that you didn't need an ice cream maker! 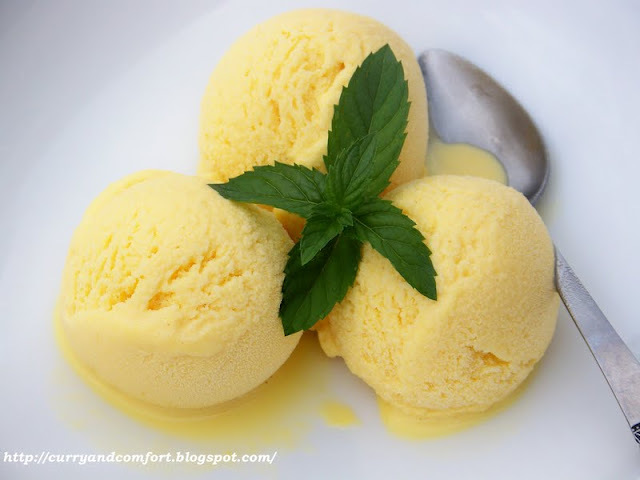 I love mango ice cream! I love adding cardamom to mine. Yum!!!! This is WAY too easy and WAY too good not to make! I've never had mango ice cream so I'm looking forward to giving this a try! can i make this with an icecream maker? putting everything into the bowl and letting it mix?